Juventus vs Ajax predictions for Tuesday’s Champions League clash at the Allianz Stadium. Juventus and Ajax vie for a place in the Champions League semi final after a tightly contested first leg in Amsterdam. Read on for all our free predictions and betting tips. Ajax put in another stellar performance in the Champions League last week as their talented group of youngsters claimed a 1-1 draw against Serie A giants Juventus, and after their incredible comeback at the Bernabeu last month, this tie is far from over. Juventus followed that clash with a shock 2-1 loss away to SPAL, although with a monstrous lead in the Serie A title race the Turin club could afford to rest some key players in that match. Nevertheless, that was Juventus’ first defeat in almost a month, and on Tuesday they will be praying that they don’t fall to their first home defeat since Manchester United beat them back in the group stages in November. Since then they have won 12 of their 13 competitive games though, so Ajax are definitely up against it here. The Amsterdam club were up against it in Madrid though, but when they went on the attack against a side who have claimed the last three Champions League titles, they showed that not many defences in world football can withstand the determination and talent of this group of youngsters. It’s just a shame that the group are likely to be scattered around Europe before long. 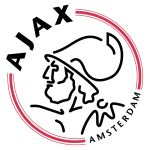 In fact, Ajax have only failed to score in four competitive matches this season, and the last time they failed to hit the back of the net in the Champions League was back in August in their playoff qualifier against Dynamo Kiev. Since then they have scored 17 goals in nine matches, including eight goals in three matches against Bayern Munich and Real Madrid. Juventus’ defence is far from leaky, but they have conceded in three of their last six home games in all competitions and face an Ajax side with an incredibly prolific attacking force. The visitors have only kept one clean sheet away from home in the Champions League since the group stages began though, so we think backing Both Teams to Score is a good option here. We’re going for that along with a tight 2-1 win for the hosts.